Lily Lolo 2 in 1 Brow Duo Pencil glides on effortlessly to fill and define brows. The highlighter brightens to lift the arch creating well shaped natural looking eyebrows. How to reshape perfect eyebrows ? Step 1 : Start with clean dry brows, place the pencil along the side of your nose to find where your brows should ideally start and angle the pencil from the outside of your nose to the outer corner of your eye to find where your brows should ideally end. 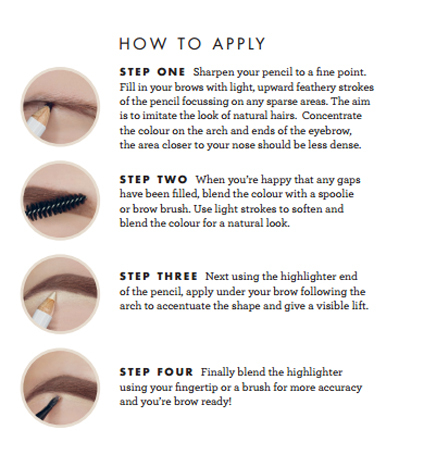 Step 2 : Use the spoolie side of the Lily Lolo Angled Brow Spoolie Brush to comb through brows for a natural result. Step 3 : Finally line directly beneath your eyebrows on your brow bone with the highlighter and blend with your finger, this will instantly make your brows appear more defined and arched. How to apply LILY LOLO Vegan Brow Duo Pencil ? 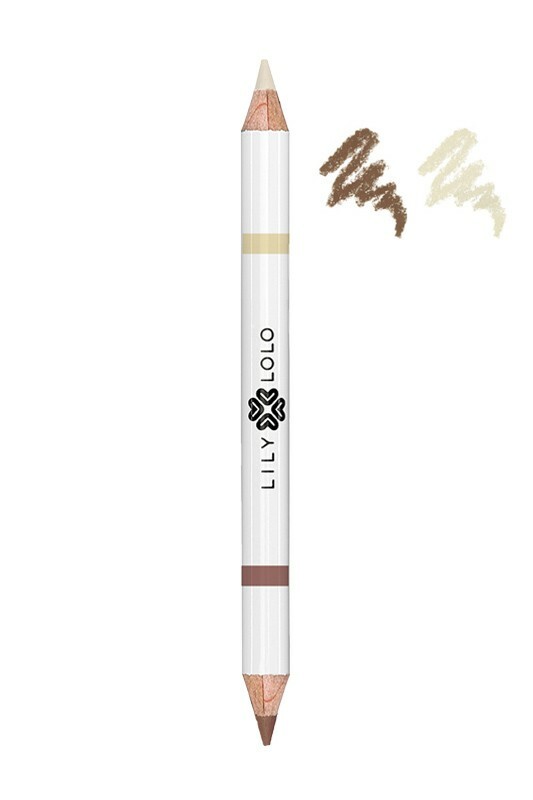 Composition of 100 % vegan ingredients with LILY LOLO Brow Duo Pencil !